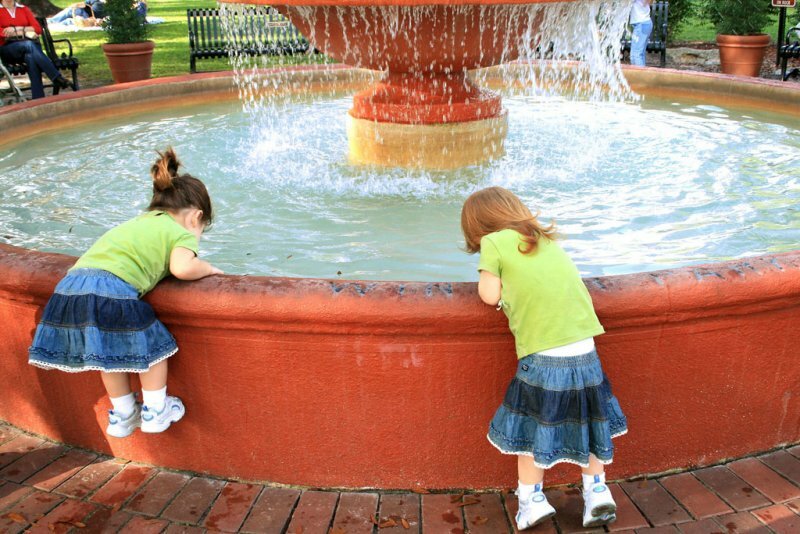 This is a great candid of these two youngsters enjoying the fountain. They might just be twins judging by there attire. I like images such a this, you seem to also.